Mitch Trubisky has his critics at this point. You know who you are. 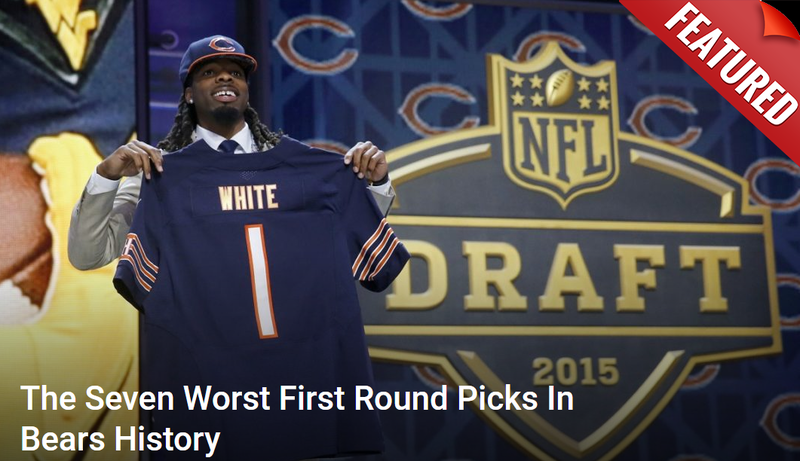 They feel he hasn’t lived up to his draft status as yet. Why? The excuses certainly are disappearing. Led the team to a 12-4 record and won the division for the first time since 2010. Set the team record for passer rating in a season with a 95.4. He accounted for 3,644 yards and 27 touchdowns. Oh and now he’s the first Bears quarterback to reach a Pro Bowl in 33 years. Not to mention he became the first QB in Chicago history to throw for 300 yards in a playoff game. I mean, I get it. The guy wasn’t absolute perfection like a Tom Brady or whatever but he had a good year. He was a big reason they won a lot of games. Sure he wasn’t the stat machine that was Patrick Mahomes, but the Bears never asked him to be that. They asked him to execute within the system, keep drives alive, and lead the football team. This he did exceedingly well. Expecting a man to run an offense like a brain surgeon in his first year utterly unrealistic. It’s also why people should be more excited by what he’s done this season. That’s because 2019 will likely be far better. Andy Reid and disciples see huge spikes in Year 2 from QB. Mitch Trubisky? One thing about being a coach who served with Andy Reid? You learn how to properly develop the quarterback position. It’s rather remarkable how consistent Reid and his noted disciples have done at this across the past several years. I went back and compiled data on every starting QB each man developed for at least two years and marked what kind of progress I found if any. The data revealed much. On average, the passer rating for the quarterbacks from the first year to the second improved from 78.2 to 93.2. That’s a full 15 point jump. If that held for Trubisky in 2019, he would finish with a 110.4 rating. For those curious, that would be almost identical to the year Russell Willson had this season (3,448 yards, 35 TDs, 7 INTs). It would be hard to turn one’s nose up at that. Matt Nagy himself explained why he expects the jump to be so big. The last step for every great quarterback is being able to examine and determine what a defense is going to do from snap to snap. People who watched Tom Brady in the AFC championship game got an ideal vision of what that’s supposed to look like. Trubisky showed glimpses of that capability this season. His job moving forward is being able to do it all the time.